BERLIN - Leica has tonight unveiled what it bills as the first digital rangefinder with a dedicated full-frame monochrome sensor u2013 claimed to produce higher-quality photos than a colour-capable model. The firm hopes to exploit what it sees as a surge in demand for b&w white photography as it continues to stress the ‘significant role’ played by the Leica M9 in turning around the fortunes of the German company since the camera was first launched in September 2009. Leica describes the M Monochrom as a ‘pure black and white rangefinder camera, using a newly designed 18-million-pixel CCD, specifically created for the capture of light in its purest form’. It is due out in the UK at the end of July, priced £6,120 body-only. Leica’s Camera’s M-system product manager, Jesko von Oeynhausen, said: ‘Black and white photography has become more popular than ever before, with photographers continuing to be fascinated by it as an expressive medium. Oeynhausen claimed that the new camera brings ‘enormous technical benefit’ and is capable of delivering ‘consistent and authentic results’. Features include a raw data histogram display and ‘extremely low, fine-grain image noise up to ISO 10000′. The 2.5in LCD screen has a resolution of 230,000 pixels. Combining the raw histogram with a configurable clipping display allows ‘precise correction or optimisation of exposures,’ according to Leica. Photographers can add digital effects such as sepia, ‘cold’ or selenium toning to JPEG format image files, in camera. Leica claims that the camera delivers ‘100% sharper images thanks to the direct processing of raw data with no interpolation’. Leica has also launched a new Monochrome Print Service, allowing photographers to have their images printed on ‘premium-quality baryte paper’. 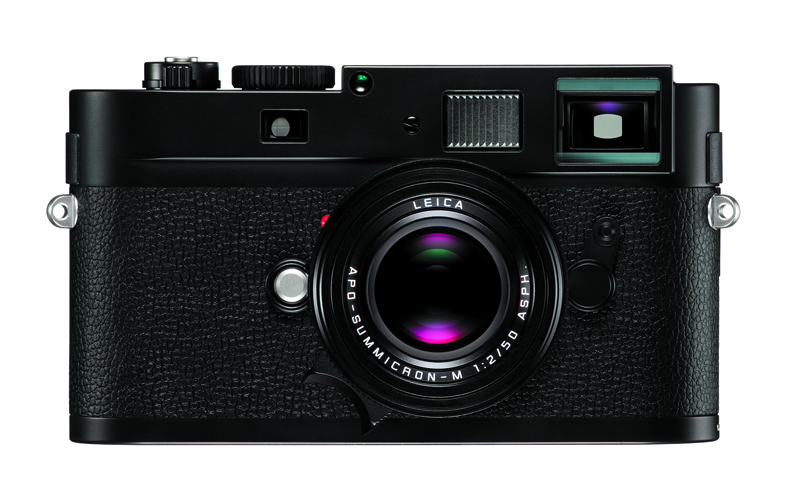 The Leica M Monochrom will be bundled with Adobe Photoshop Lightroom and Nik Silver Efex Pro 2 software. The second in Leica’s X-series of high-end compacts in the shape of the X2, boasting a new 16.2-million-pixel (effective resolution) APS-C format CMOS imaging sensor. Price: £1,575. A limited edition version of Leica’s M9-P, containing calfskin leather finish and produced in a tie-up with luxury goods maker Hermès. Tweaks include restyled top and base plates, shutter speed dial and shutter release. 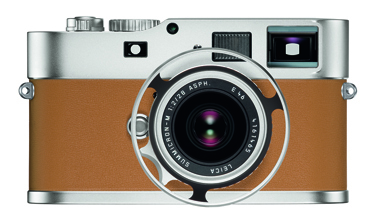 The Leica M9-P Hermès will be available as two kits, the first of which is out this month, limited to 300 and including a Leica Summilux-M 50mm f/1.4 ASPH lens. It costs £18,000. Five new lenses for Leica’s S-System: a 30mm f/2.8; 35mm f/2.5; 70mm f/2.5; 120mm f/2.5; and 180mm, f/3.5. An adapter designed to allow photographers to attach Hasselblad H lenses to the Leica S medium format system. 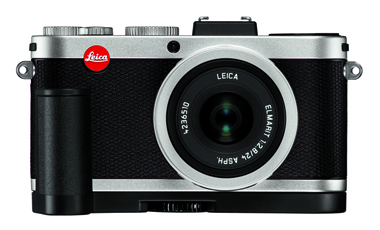 The Leica S-Adapter H will go on sale this month, priced £1,350. The Leica V-Lux 40, a 14.1-million-pixel (effective) superzoom compact, featuring a 24-480mm lens (in 35mm viewing angle terms). Also due out this month, V-Lux 40 carries a £550 pricetag.